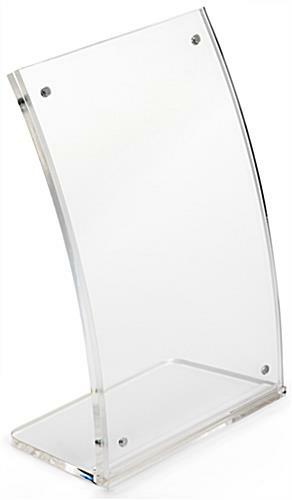 4.25" x 11" 5" x 7" 8" x 10" 8.5" x 11"
These curved 4x6 sign displays are an excellent choice for trade shows, shops and restaurants, where they can feature promotional graphics. 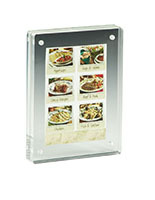 The tabletop frames are made of durable clear acrylic for full visibility. 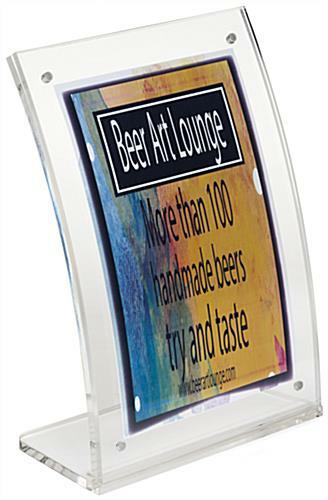 To insert graphics into the 4x6 sign displays, simply take a part the two plates that are held together by button magnets. 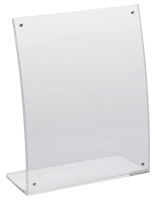 This simple design makes the trade show print holders easy to use when it comes to inserting or replacing advertisements. 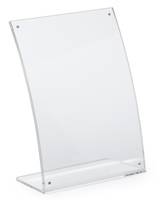 In addition, the sign displays have a bowed frame to meet onlookers at eye level. 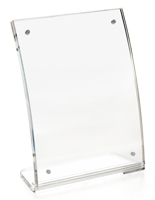 The holders also benefit from a small footprint to fit on any tabletop surface. 5.4" x 7.1" x 2.6"